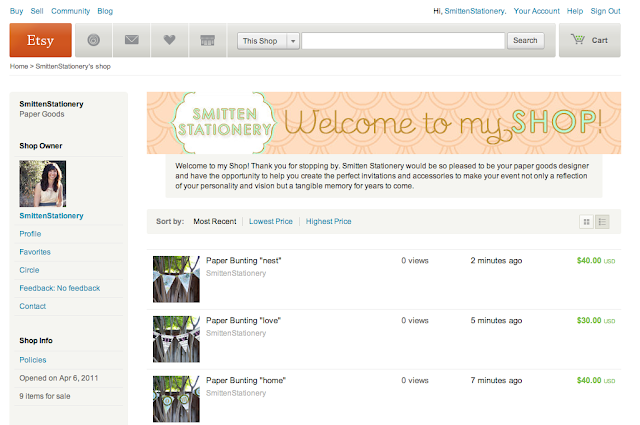 always underfoot: Smitten Stationery's Shop! i did it! i opened my shop! i'm so excited and i hope you are too. i plan to eventually add options to purchase the pre-designed wedding, birthday, and other event invitations and also a few posters here and there. but for now i have several bunting ready to be purchased and put on your walls.